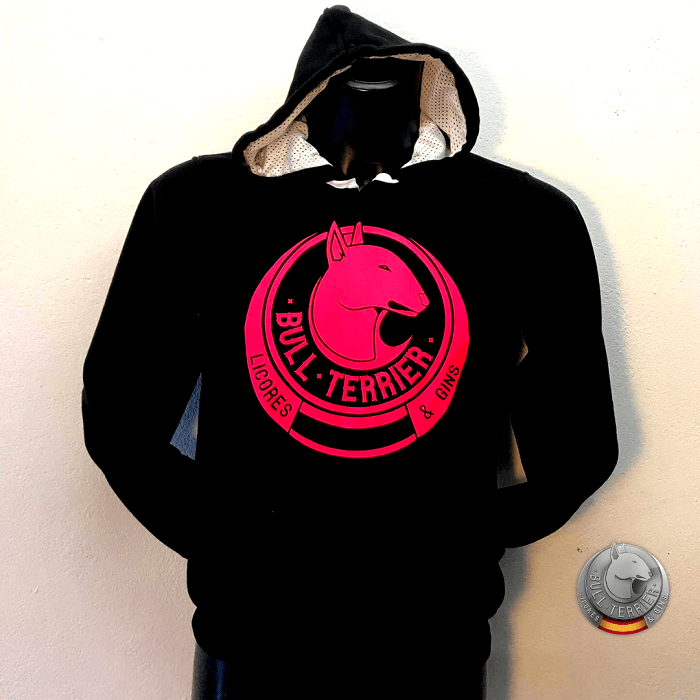 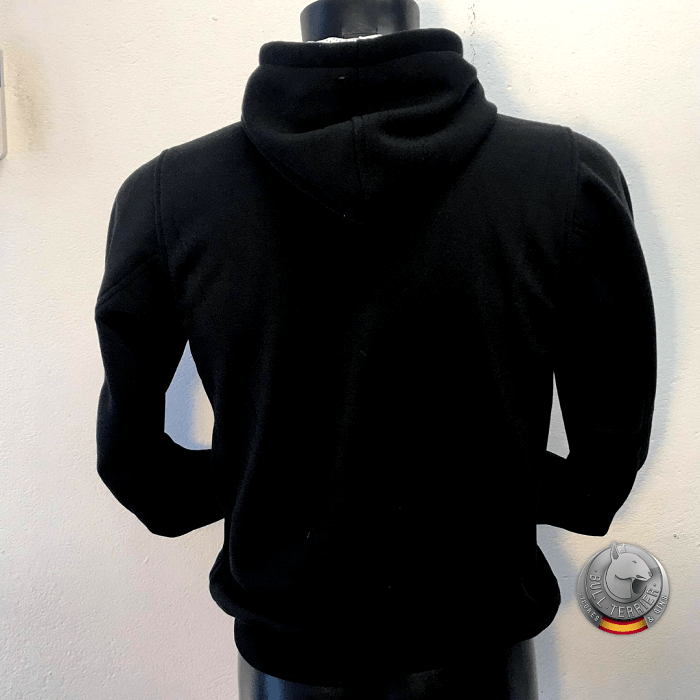 Offer Bull Terrier Europe 6 bottles and free hooded sweatshirt + send free. 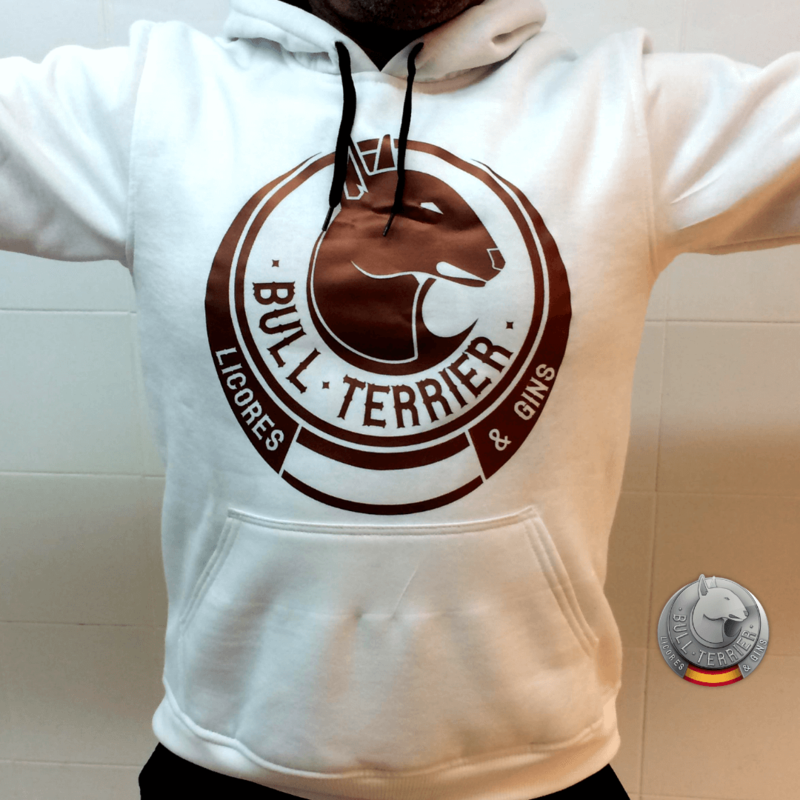 Offer Bull Terrier Europe 6 bottles and free T-shirt: We send to Europe this offer for Bull Terrier lovers. 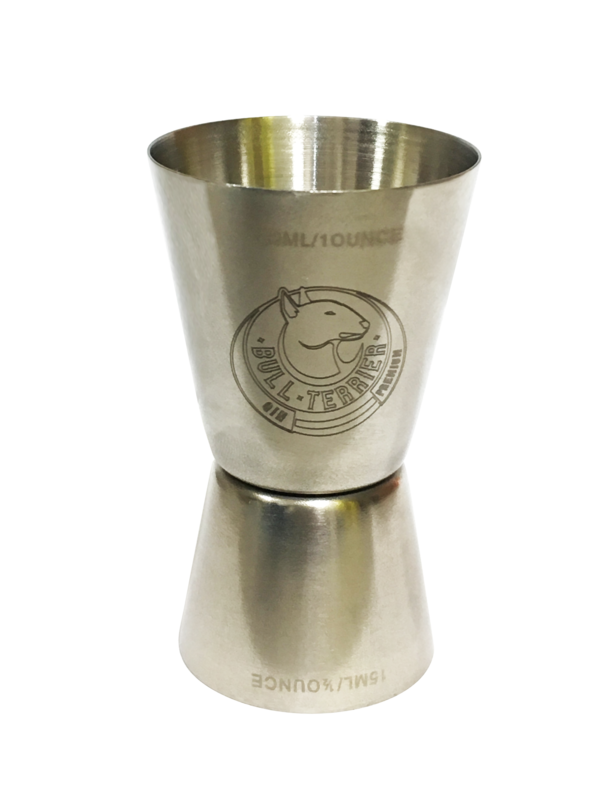 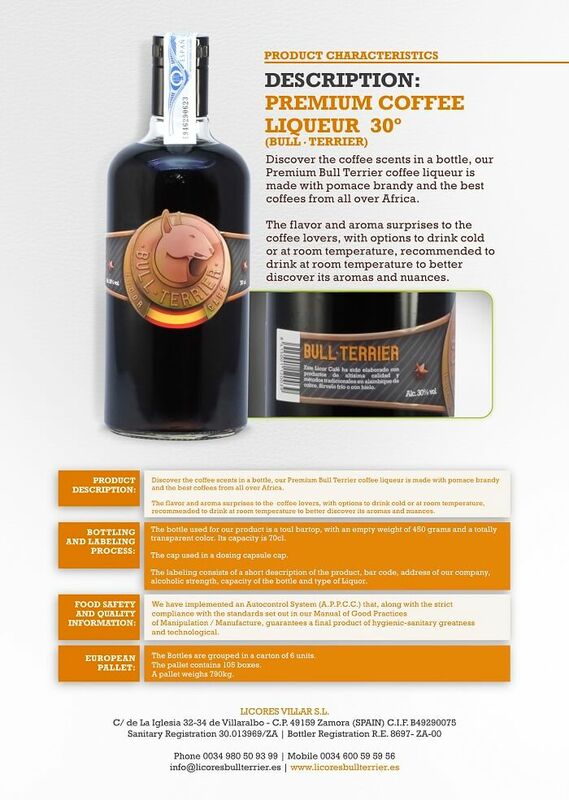 1 Bottle Bull Terrier coffee liquor Bull Terrier Licor café Bull Terrier. 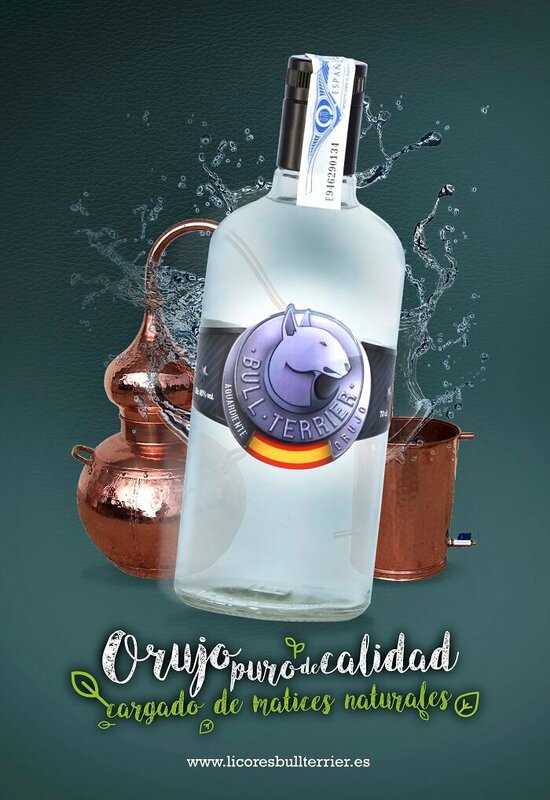 1 Bottle white liquor de Orujo Bull Terrier. 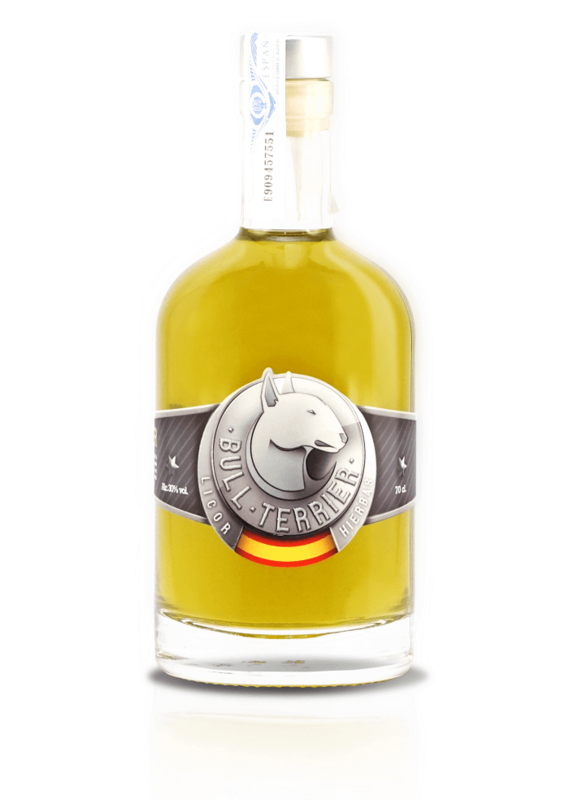 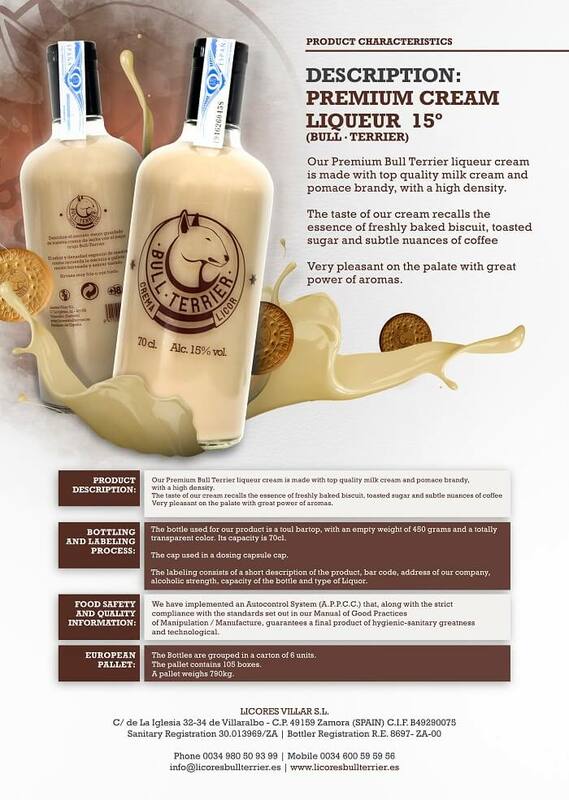 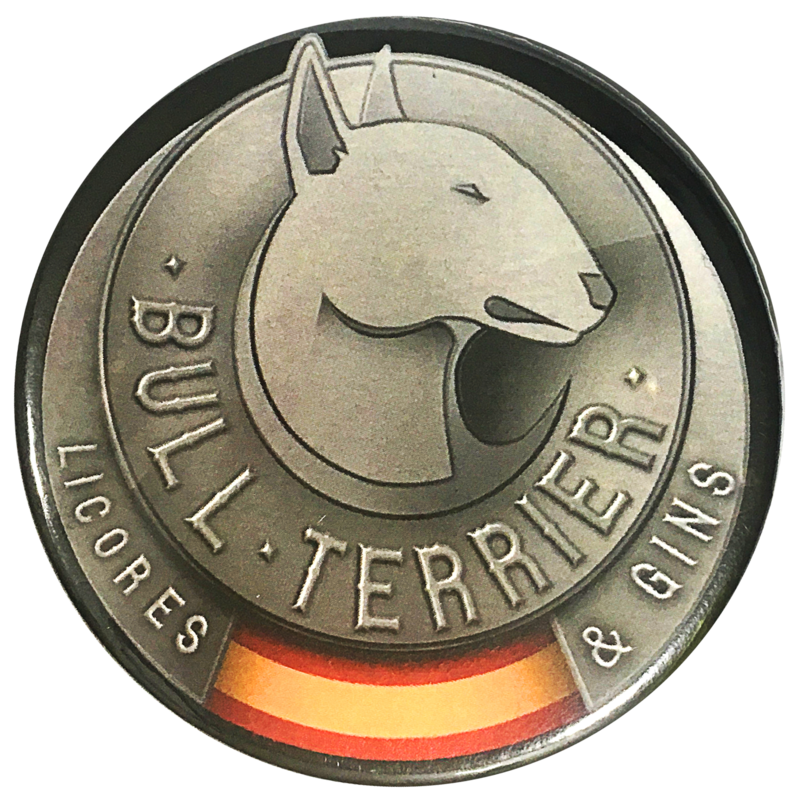 1 Bottle cream liquor Crema de Licor Bull Terrier. 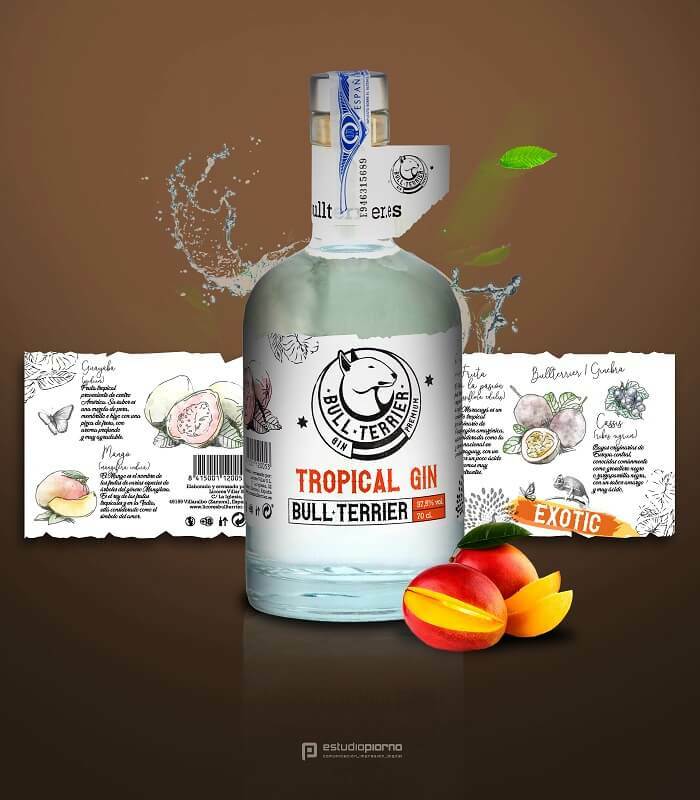 1 Bottle Gin Tropical Bull Terrier. 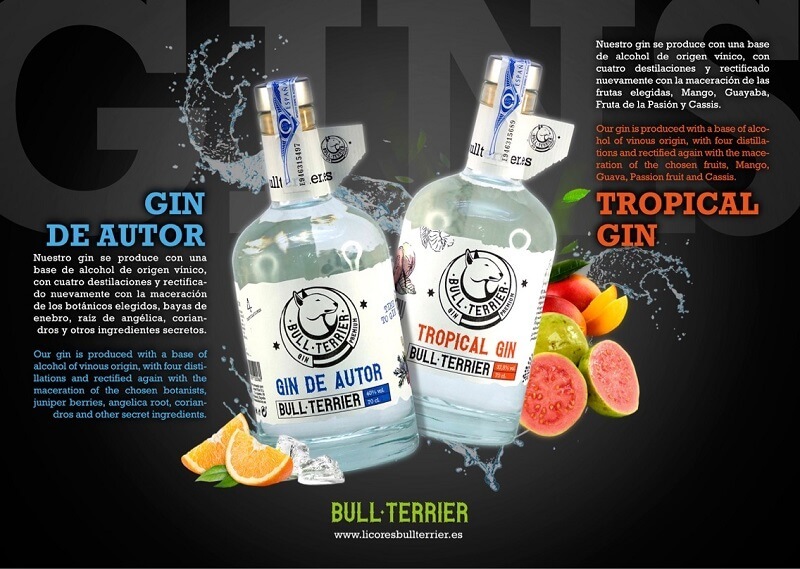 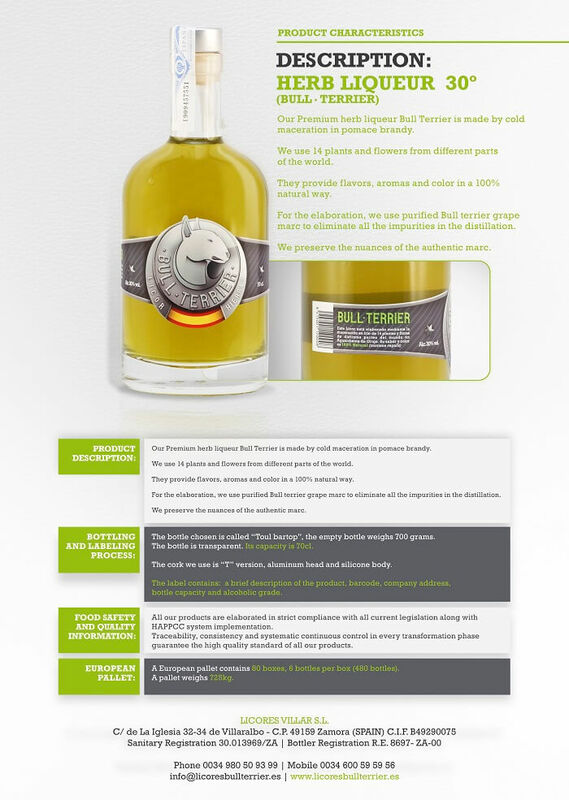 1 Bottle Gin de Autor Bull Terrier. 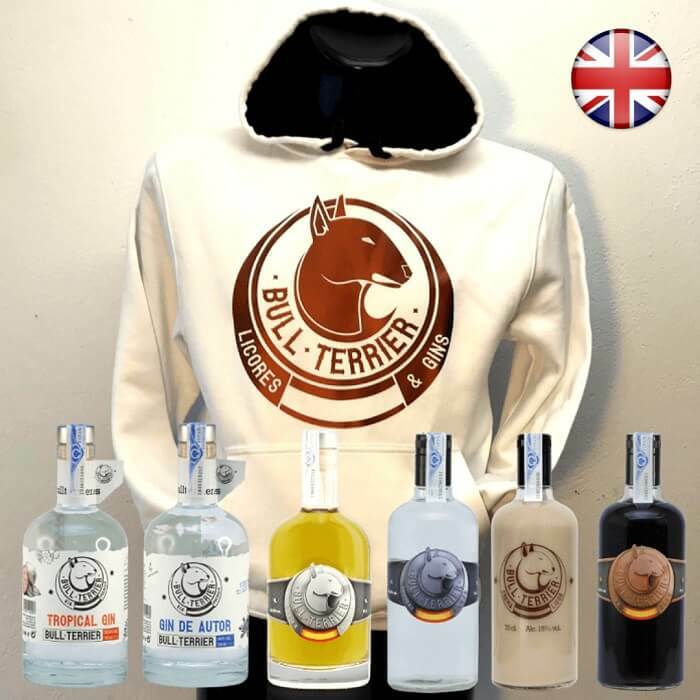 With this offer you can have at home all our Bull Terrier products and take advantage of a significant discount. 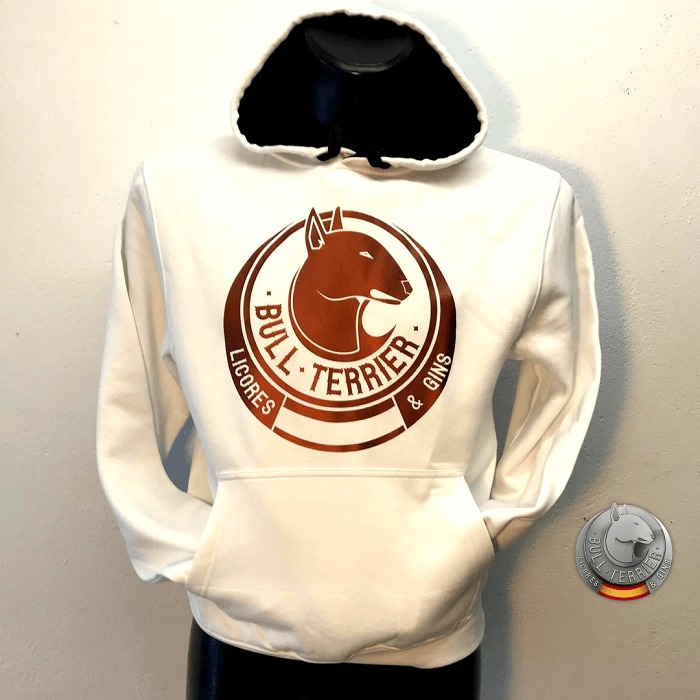 This offer is ideal as a gift for animal lovers specially dogs, and the Bull Terrier breed. 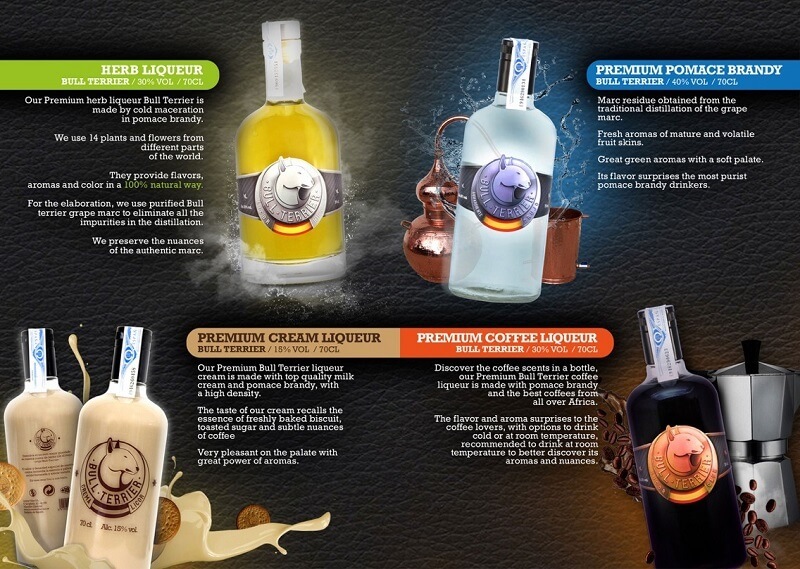 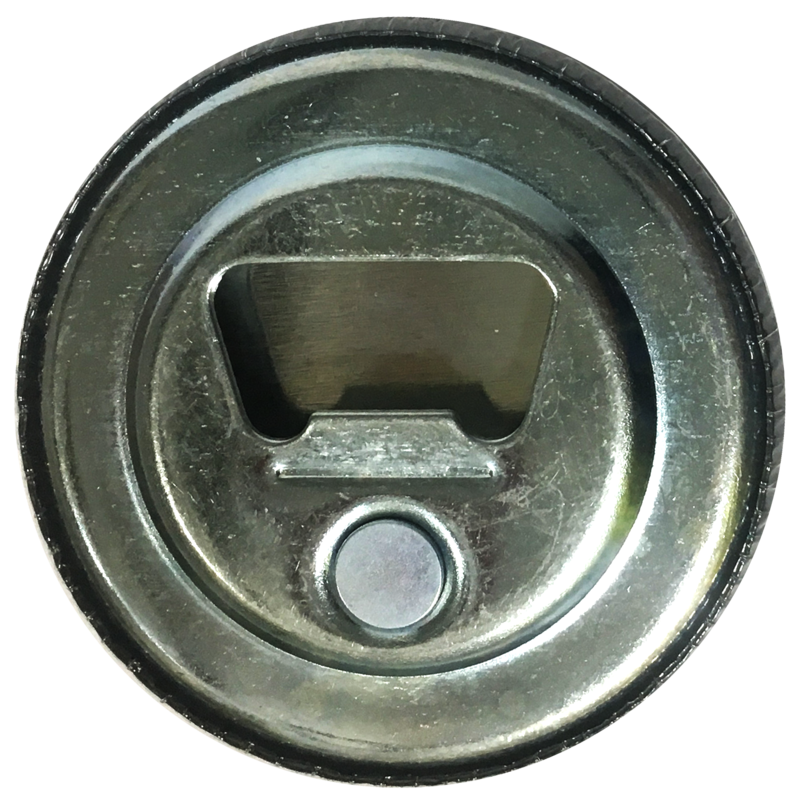 It is also a very good opportunity to try each one of our products. 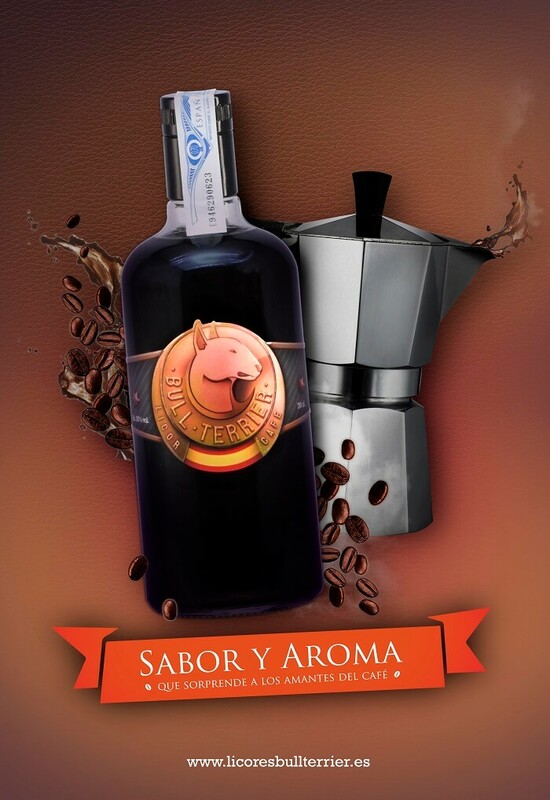 Each one has its moment during the day and its personality( flavor, colour,). 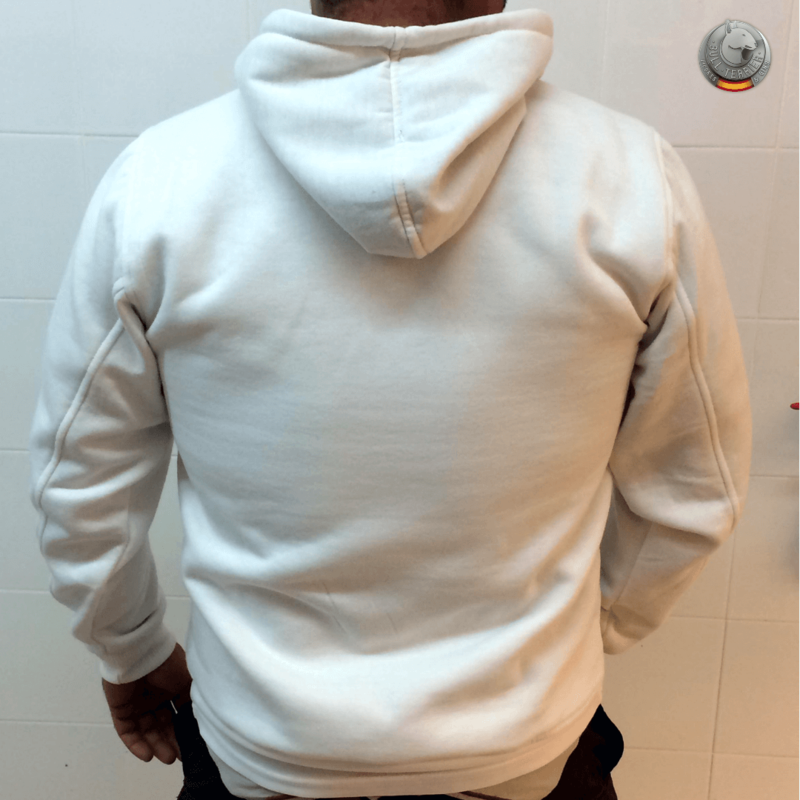 We are convinced that if you receive our offers at home, you will repeat. 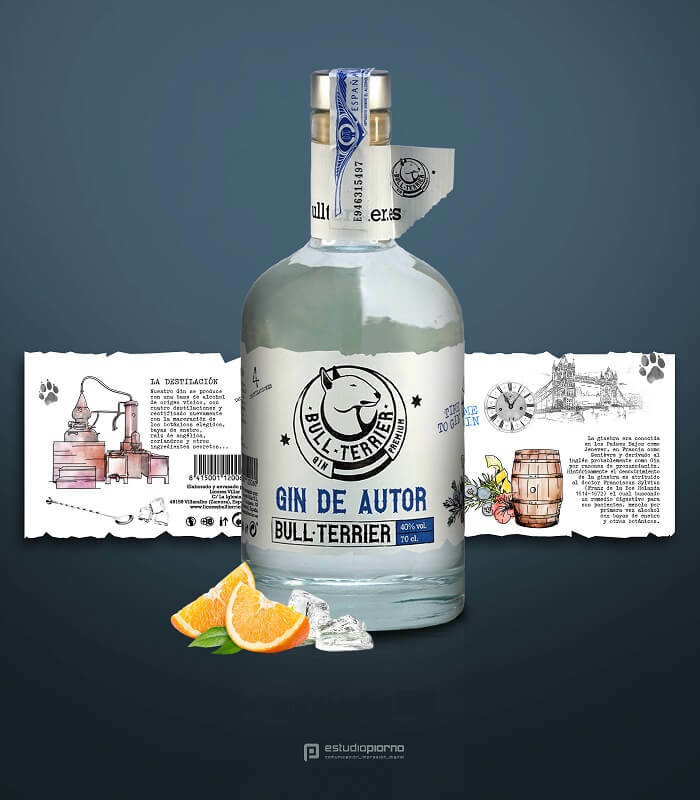 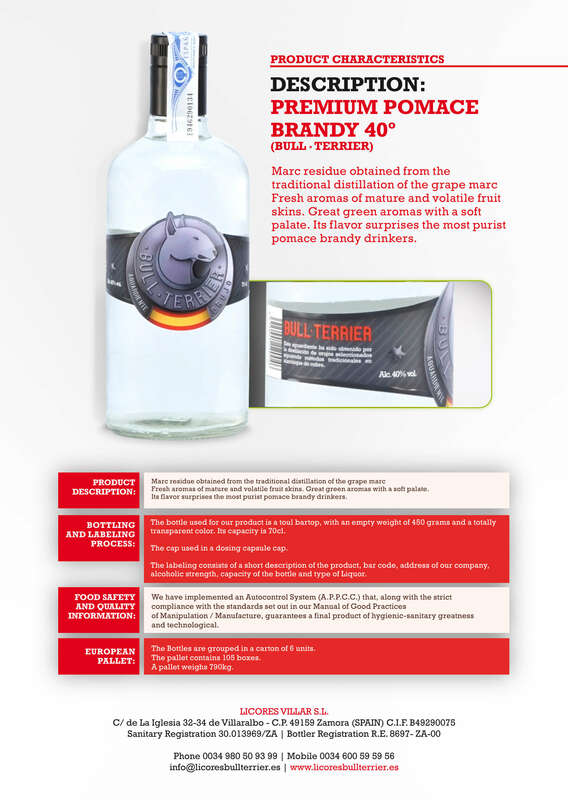 Our liquors and Gins leave no one indifferent.